﻿﻿The recession has caused a little bit of realism to creep in watch prices (though in some cases it is fleeing again). None more so than for the tourbillon. 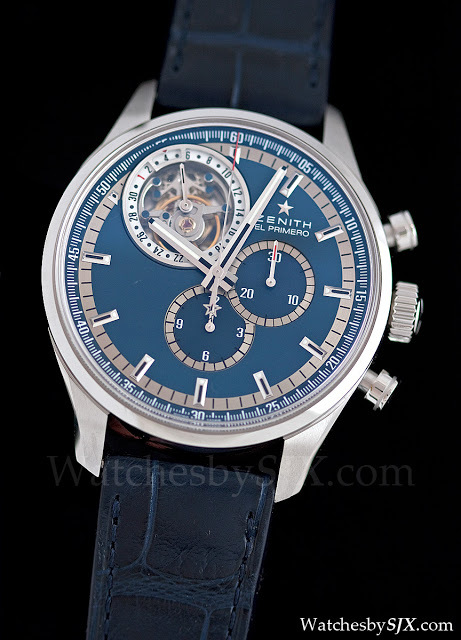 Zenith is a standout in this regard. 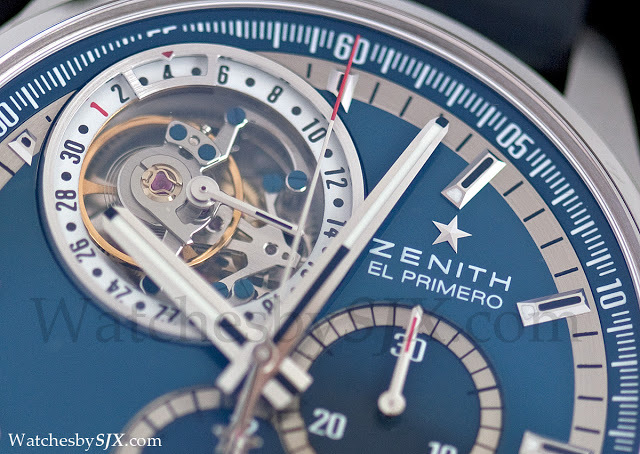 Its new El Primero tourbillon retails for a mere $60,000 in steel, and that is for a chronograph and flying tourbillon. Compared to prices of not too long ago that’s a steal. For the price you get an interesting and historical chronograph movement with a good looking case and dial. Overall quality is good, though not outstanding, but it is still excellent value for money. 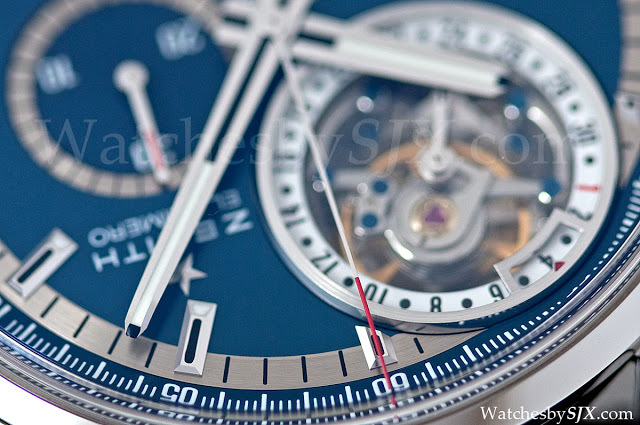 Shown here is the Charles Vermot limited edition with an attractive metallic blue dial. 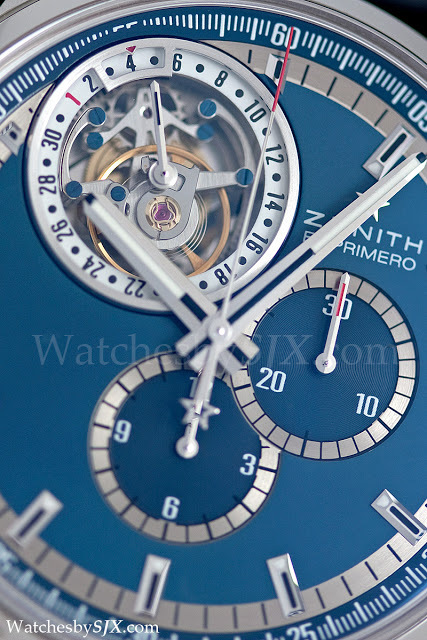 Mr Vermot is the watchmaker who, according to Zenith lore, saved the El Primero by hiding the manufacturing equipment and plans after management decided to discontinue the El Primero and ordered them destroyed. Today Zenith can’t stop expressing its gratitude and this is just one of several limited editions dedicated to Mr Vermot. Zenith’s other offerings for 2011 also offer similar price-value ratios, especially the Captain Winsor Annual Calendar. Another notable example in the affordable chrono-tourbillon segment is the Graham Tourbillograph. Despite its clumsy name it is similarly strong value for money, with a flying tourbillon added to a Valjoux 7750. Done by La Joux-Perret the 7750 also has its cam replaced by a column wheel. More on this in the future.